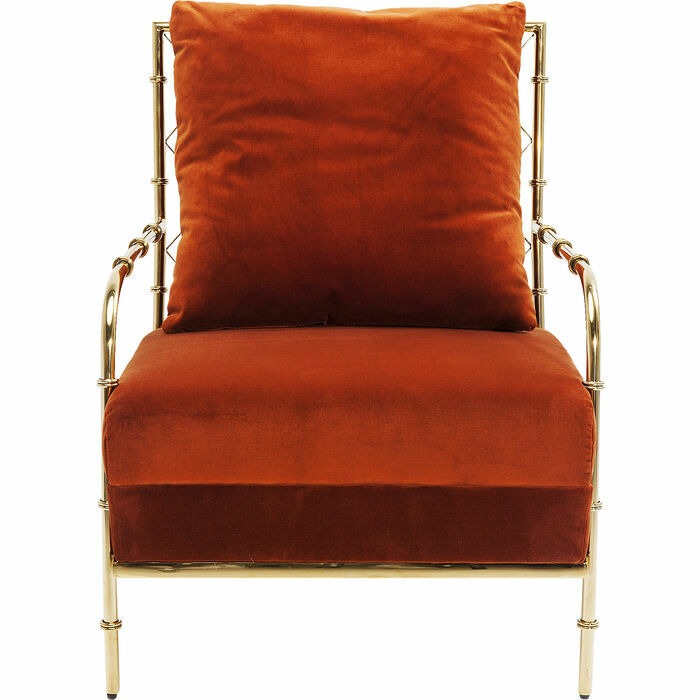 Regina is the style queen and has no problem at all with being the centre of attention in the room. 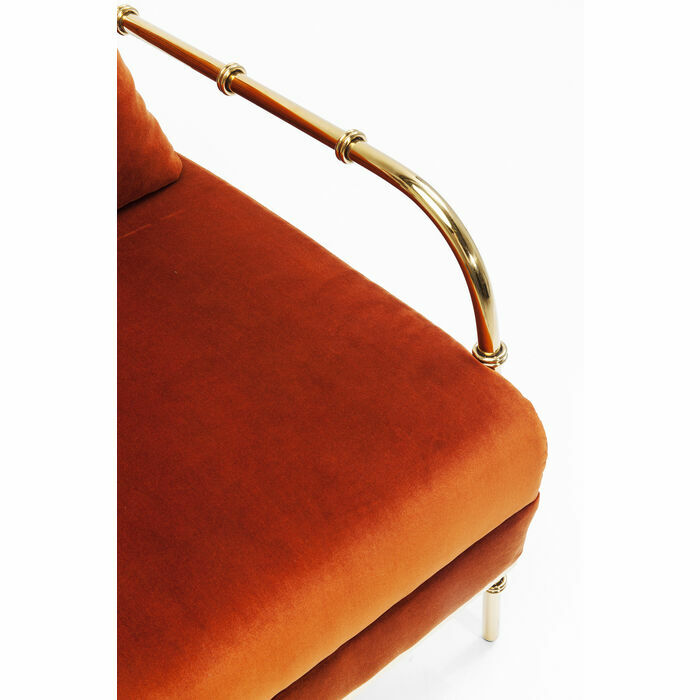 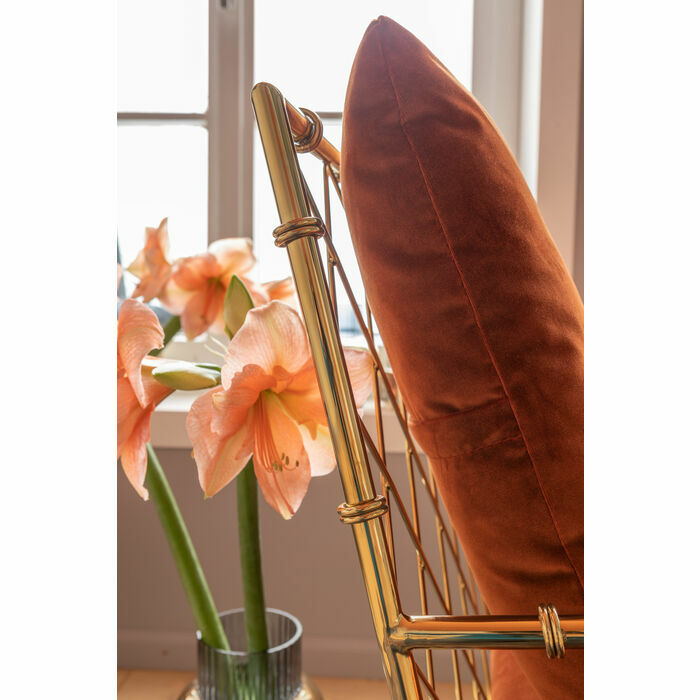 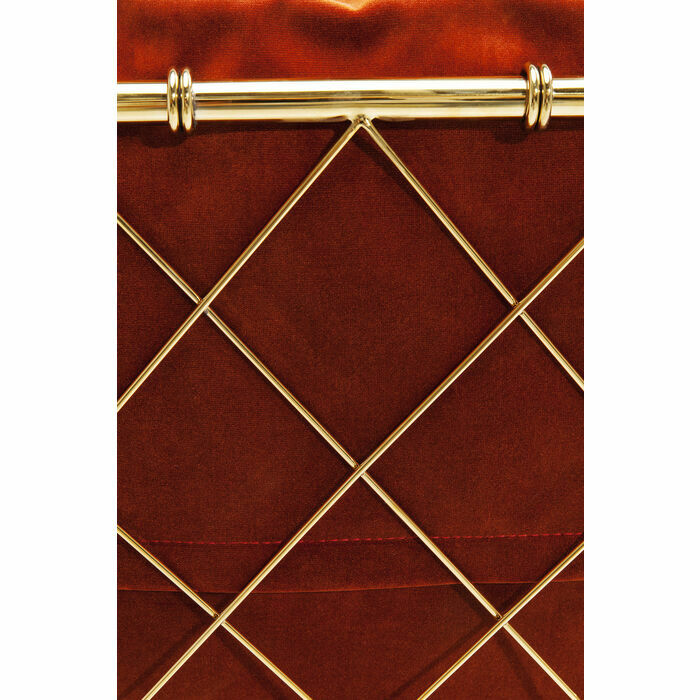 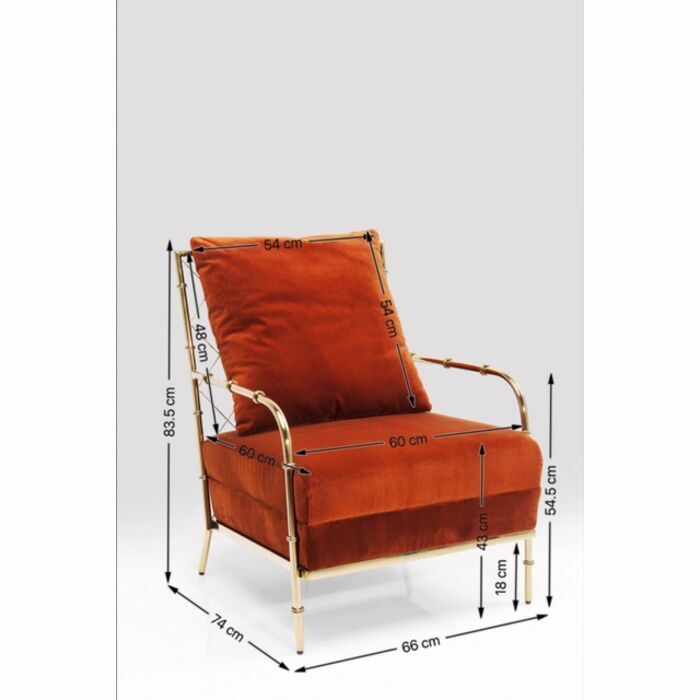 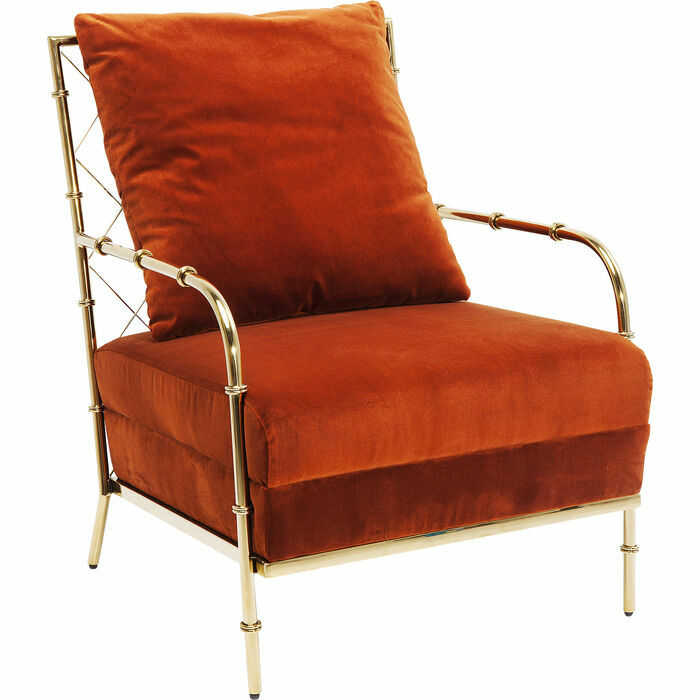 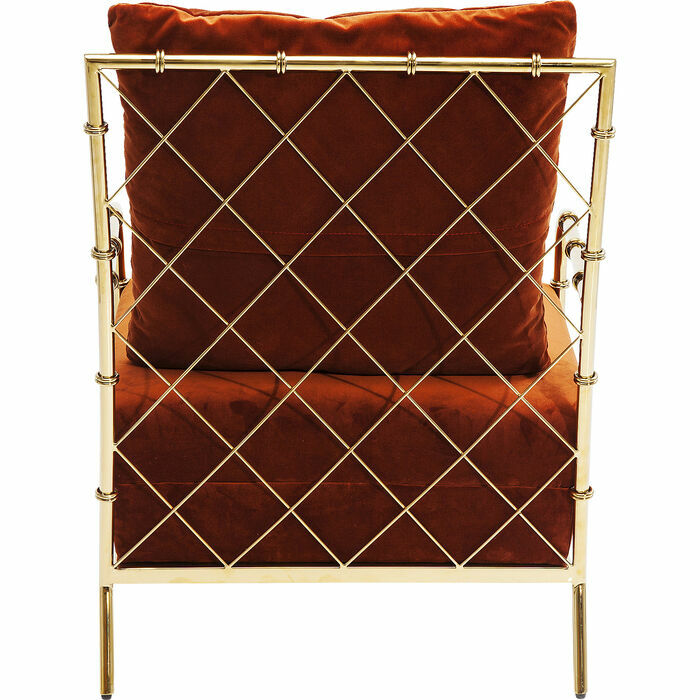 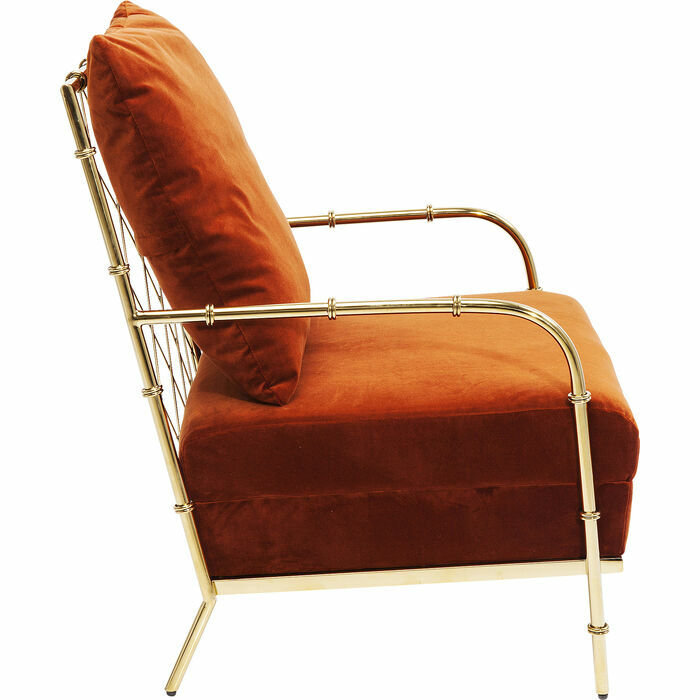 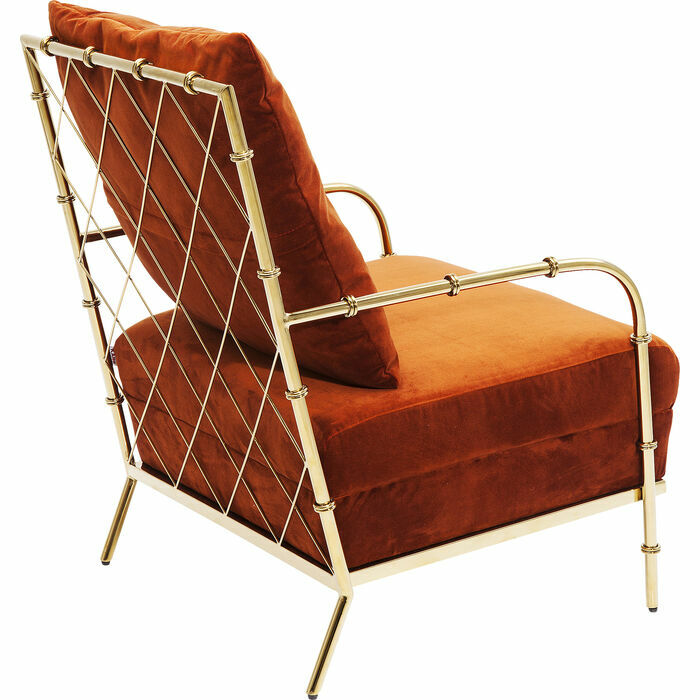 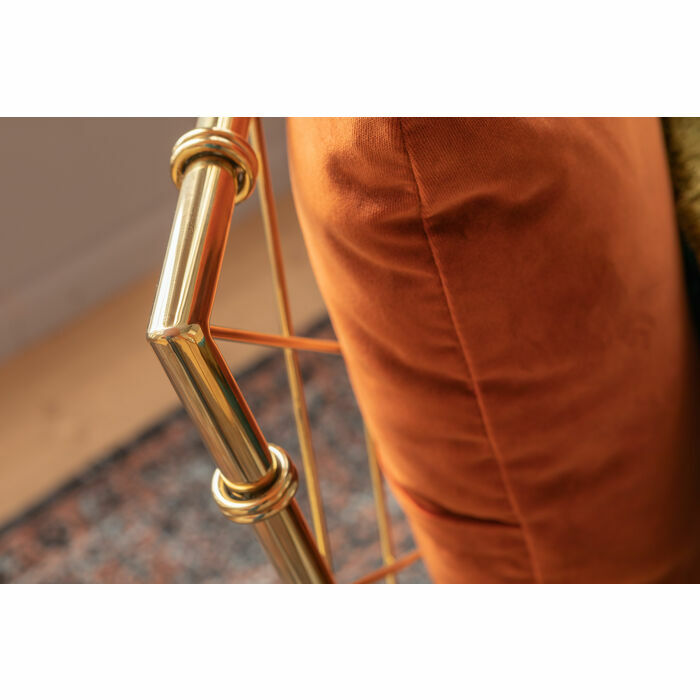 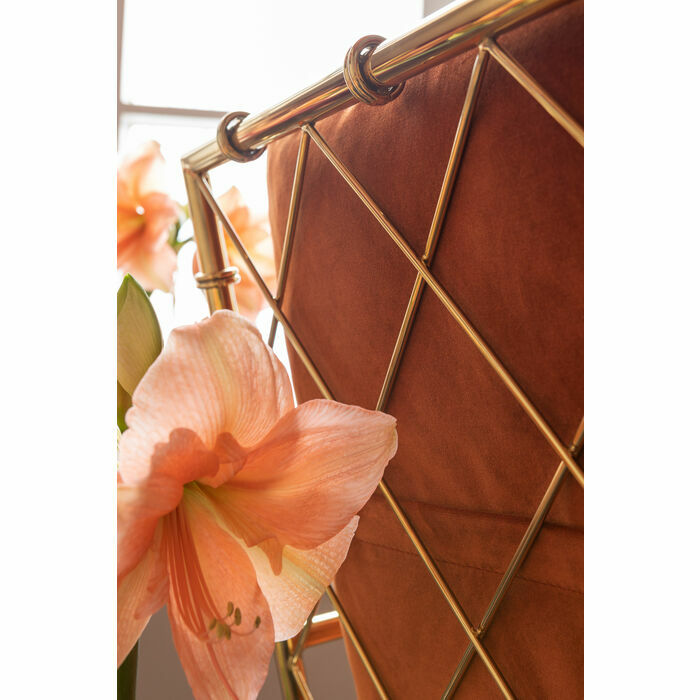 Anything else would almost be a shame, because the body of this gorgeous retro armchair with its shiny brass look is beautiful all around, especially the back with its diamond weave. 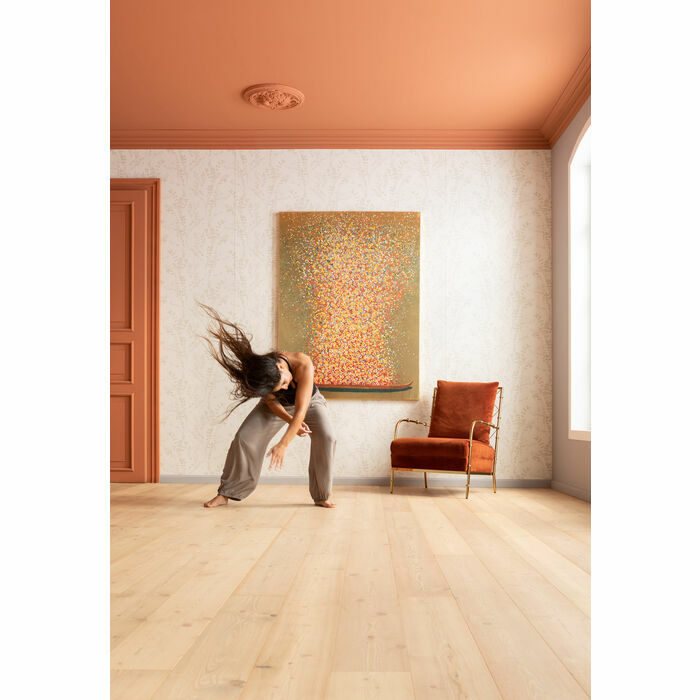 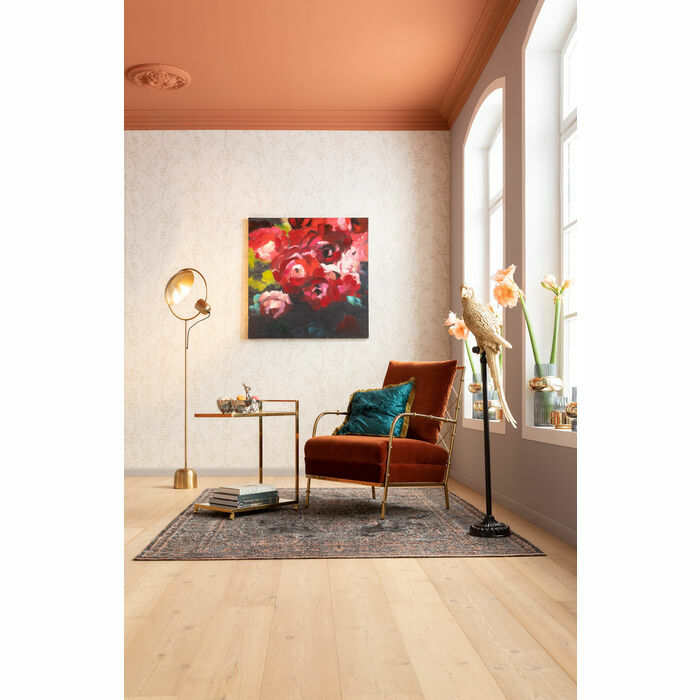 The velvety, red-orange cover from the trendy range of spice colours has a warm aura that is just right for a favourite place.